Jill Eckhaus defends hospitals, physicians and physician groups in medical negligence and catastrophic injury proceedings, including actions for wrongful death. She has represented corporate and individual insureds in medical malpractice defense claims, professional negligence, products liability and premise liability matters in both state and federal courts. Throughout the litigation process, Jill zealously advocates for her clients—a trait founded in her days as a public defender—ensuring they are prepared for depositions and trial. Prior to joining Hinshaw, Jill practiced at several Chicago-based firms including a multi-national defense litigation firm and a mid-size litigation defense law firm. 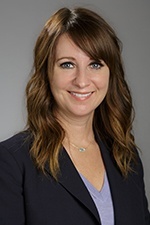 Before embarking on her private practice, Jill was a senior public defender in the Felony Division of the DuPage County Public Defender's Office. During her tenure, she successfully served as first chair trial counsel in the defense of multiple felony and misdemeanor jury trials, including seeing 54 trials to verdict.